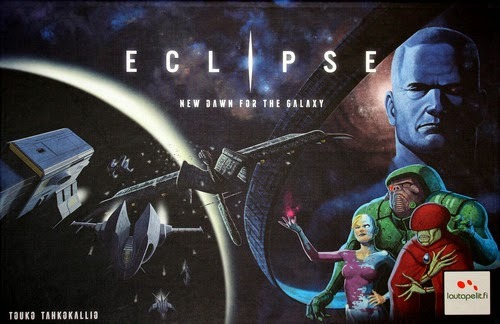 This past weekend I had a group of friends over for a 5-player game of Eclipse. I had heard good things about this game so I picked it up (note that it is not a cheap game). The game when boiled down is a space 4X game: expand, explore, exploit and exterminate. When the game is first set up it looks daunting as hell, but once you get playing though it flows really nicely. I'm convinced the creators were big fans of the old computer game, Master of Orion as there's all sort of things in the game that remind me of Master of Orion. A 5-player game took us about 3 1/2 hours. I would highly recommend this game and I'm really looking forward to getting this one on the table again.